Philadelphia Publishing Company is a website management company specializing in independent news sites. We offer a full-service website hosting and monetization service that includes a 99.9% uptime and anti-malware guarantee, and you’ll benefit from years of experience and industry relationships in getting the best possible support for your digital operation. Built-in KPI analytics with Google Analytics and integrated editorial metrics courtesy of Parse.ly. Real-time social counts on all stories! 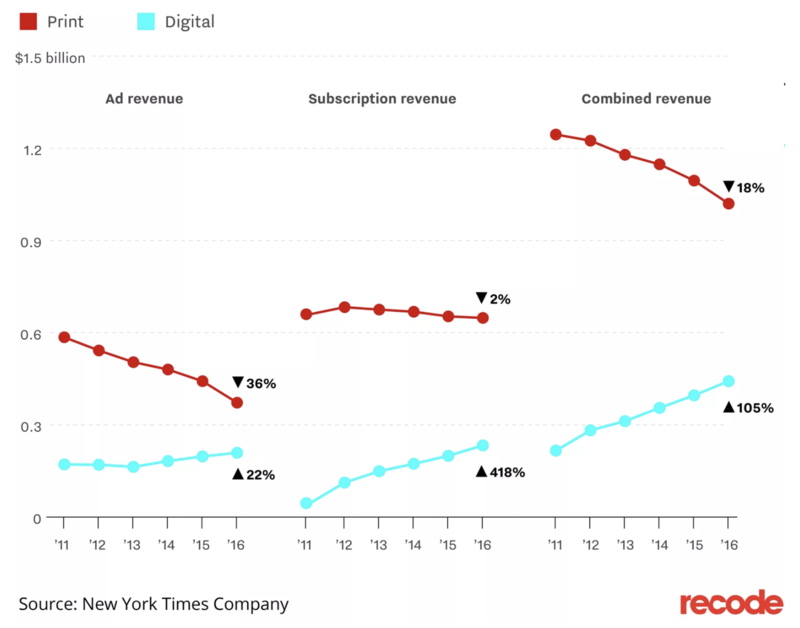 It once seemed crazy that digital revenue would overtake print. Now it seems inevitable. Mass media, corporatization, consolidation, the Internet, and finally the financial crisis resulted in the dissolution of the print business model. The New York Times & Washington Post are trailblazing business models built on digital advertising & subscription revenue. Many news companies have already crossed over to majority digital revenue, with more to come. Are you doing everything you can to be ready for a post-print future? Or maybe you’re a startup digital publisher already. Then you already know, successful digital operations require constant maintenance to stay current, and there’s more competition than ever for digital audiences. Success requires tapping into the right mix of revenue streams for your business, whether that’s display ads, native ads, sponsored content, e-commerce, or something else. All while maintaining authentic relationships with their readers and advertisers. Profitable digital publishers gathering audience today will be well positioned to capitalize tomorrow. As a complimentary service to independent publishers and a way to introduce our services to you, we offer a competitive market analysis and technical audit at no cost. That means free as in beer, no obligations, no sales call. What’s included in an audit? As a publisher, you have a dozen different priorities every day. Rarely do you get an opportunity to survey the whole landscape and see where you stand.